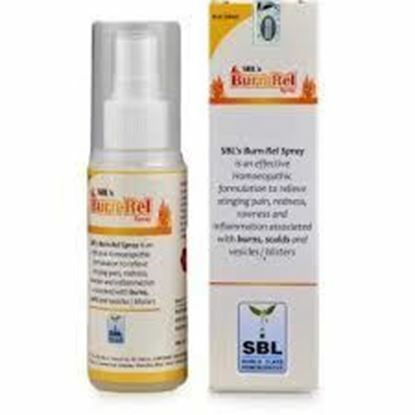 Information about SBL Burn-Rel Spray SBL Burn-Rel Spray is a safe & effective homeopathic formulation to relieve the signs & symptoms associated with burns & scalds. Cantharis is a time-tested homeopathic remedy indicated for burns, scalds, vesicles, rawness and smarting sensation. Helps in the healing of minor epidermal burns and temporarily relieves associated symptoms such as: rawness, itching, pain, helps in reducing the appearance of scars. Composition: Cantharis Ext. HPI 10% v/v, Light liquid paraffin I.P.90% v/v, Antioxidant preservation q.s. 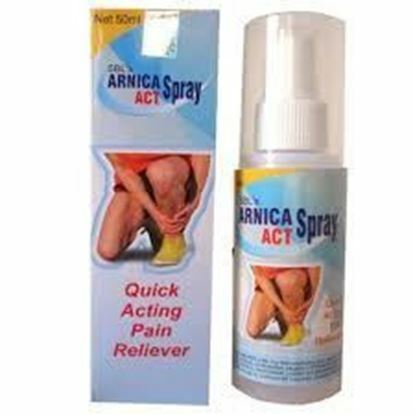 Advantage: It can be sprayed on the skin without touching the affected area. Directions to use: Adult and children above 2 yrs. of age- Spray directly or wash the affected area under low pressure running water. Hold the bottle 4-6 inches away from the skin. Point the nozzle towards the affected area (away from the eyes) and spray a thin film of medicine 3-4 times a day until the symptoms subside Warning: For external use only. Do not use in the eyes. Do not use the product for more than 10 days unless directed by the doctor. Do not touch the nozzle to any surface since this may contaminate the solution. If irritation then stops the use and ask a doctor. Keep out of reach of children.